"Unrestrained pets cause more than 30,000 auto accidents each year. 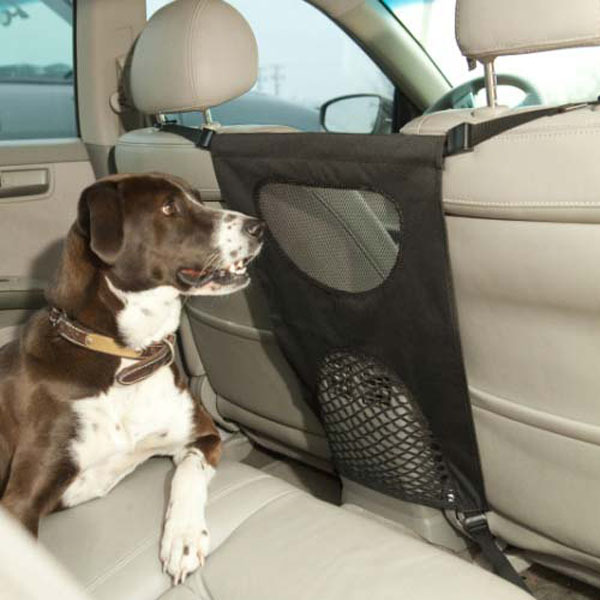 The Bergan Pet Travel Barrier helps to keep pets in the back seat and decrease distractions while driving. The patent pending Freedom-Lock provides secure installation between bucket seats and allows for simple driver or passenger seat adjustment." Upper and lower mesh vents promote air circulation.